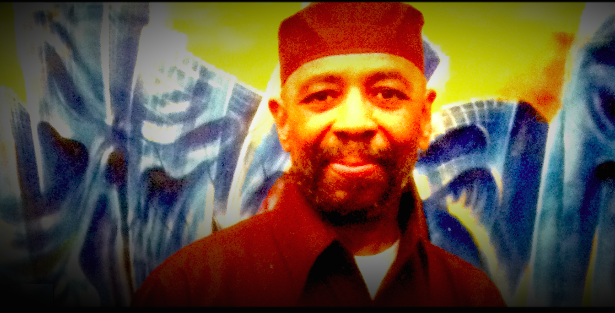 Maroon’s Win, Commutation, Parole for Lifers and Toxic Prisons – Free Russell Maroon Shoatz! Welcome to our July newsletter. In these ever-turbulent times, where tragic news seems a constant, we hope this message finds you and your loved ones in both good health and resilient spirits. After a momentous last month, we’re pleased to bring you the latest info on Maroon’s lawsuit settlement with the Pennsylvania Department of Corrections and brief report backs from both the Campaign to Restore Meaningful Commutation’s recent meeting with Pennsylvania state officials and the Campaign to Fight Toxic Prisons’ recent convergence in Washington D.C.
Maroon Sues The D.O.C. and Wins!!! In case you missed our special bulletin two weeks ago, a settlement has been reached in the case of Shoatz v. Wetzel, which challenged Maroon’s 22 straight years of solitary confinement. The settlement brings an end to litigation begun in 2013, which resulted in Maroon’s initial release from solitary in February, 2014. To say that we’re thrilled with this news would certainly be an understatement. As mentioned in our July 11 press release, “In exchange for Shoatz ending the lawsuit the Pennsylvania Department of Corrections (DOC) has agreed that it will not place Shoatz back in solitary confinement based on his prior disciplinary record or activities; Shoatz will have a single-cell status for life, meaning he will not have to experience the extreme hardship of being forced to share a cell following decades of enforced isolation; a full mental health evaluation will be provided; and the DOC has paid a monetary settlement. We invite you to read our full press release, including the supportive comments of United Nation’s Special Rapporteur, Juan Mendez, whose expertise helped ensure this victory. In addition, we share with you this article from The Guardian regarding the settlement and its potential positive impact on the cases of other Pennsylvania inmates who have suffered through similarly unrestricted use of solitary confinement, as well as the following video clip from the July 12 episode of Democracy Now!, a program that’s vocally supported our efforts over the years. On Thursday, June 23, the Campaign to Restore Meaningful Commutation hit the Capitol pushing a 12 point platform that would change regulations and practices of the barely functional commutation process. About 25 people traveled to Harrisburg from Pittsburgh and 10 more from Philly. Upon arrival from Pittsburgh a devoted crew raced up to the office of Jason Dawkins, co-author of HB 2135, where he met them with open arms. House Bill 2135 was introduced on June 9, and has the ambition to Expand Parole Eligibility for Life Sentences. This bill would make people eligible for parole after 15 years served, and as Jason said in our press conference, “This bill would abolish life without parole.” Can you believe a State Rep said those words?! Rep Ed Gainey from Pittsburgh gave a rousing speech at our rally in support of the bill. This is extra powerful because, tragically, his sister was murdered just a month ago. Additional surprise speakers included: Rep Joanna E. McClinton from Philadelphia and Delaware Counties, who was extremely encouraging and really applauded our efforts, and Rep Patty Kim of Dauphin County, who also stepped to the mic, talking about an impactful meeting she had with women at Muncy. 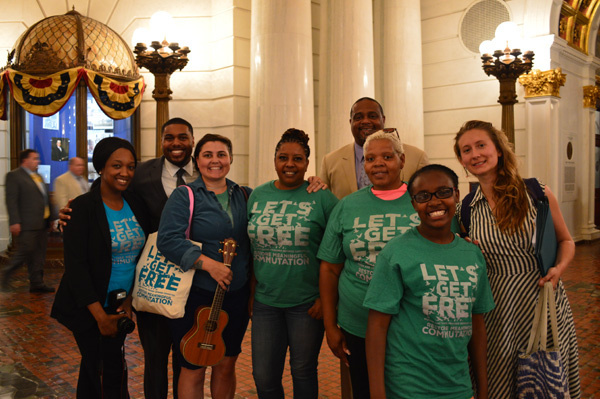 To read the full reportback about the campaign’s visit to the Pennsylvania capitol, and how you can plug into ongoing organizing, please visit here. Campaign to Fight Toxic Prisons Goes to D.C.
For over a decade, June 11 has been a day of action in solidarity with eco-anarchists imprisoned for their actions in defense of the Earth. Since its inception in 2004, the June 11 day of action and other acts of solidarity have been instrumental in winning shorter sentences or early release for eco-prisoners, including Jeff Luers and Eric McDavid. Yet committed earth defenders such as Marius Mason, targeted in the FBI’s “Greenscare,” are still serving harsh sentences in maximum security prisons for their actions in defense of the Earth. Meanwhile in Appalachia, the Bureau of Prisons (BOP) plans to build a massive maximum security prison on top of a former mountaintop removal coal mine in Letcher County, Kentucky, surrounded by sludge ponds and coal processing operations. This amounts to an environmental justice nightmare, where prisoners who are disproportionately low-income and people of color face toxic conditions behind bars. 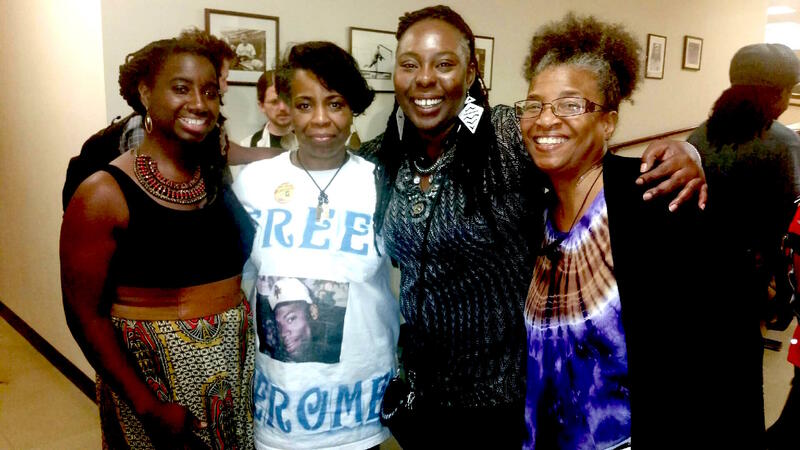 From June 11 to June 13, people from around the country converged on Washington, D.C. to network, strategize, and take direct action against toxic prisons and continue to fight for the freedom of political prisoners. Stopping one prison is not a magic bullet to ending the U.S. police state, the one that gave way to the world’s largest prison nation and in turn serves as the apparatus of repression that keeps the planet shackled to industrial capitalism… But it’s a pretty good place to build from. To read about the campaign’s convergence in D.C., and how you can get involved, please visit here. We remain deeply indebted to all of you who continue to offer your support and solidarity to the struggle for Maroon’s freedom, and against prisons and policing more broadly. And while we say it every month, we really do want to hear from you! Please feel free to contact us directly with your thoughts, questions, and ideas to strengthen our work on behalf of Maroon and all u.s.-held political prisoners. We also invite you to consider contributing to our ongoing fundraising for Maroon. 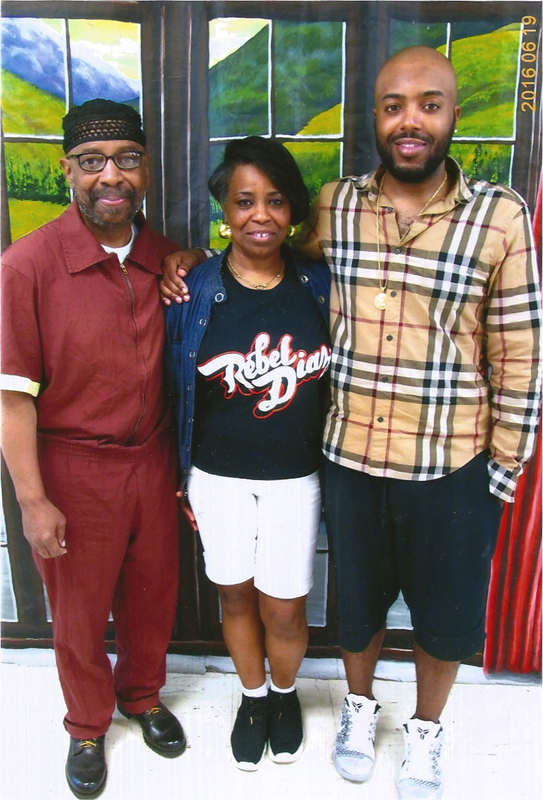 While Maroon’s recent settlement obviously includes a financial component, much of that money will be redirected, per Maroon’s wishes, to efforts that support other long-held prisoners and their families. Accordingly, your direct contributions for Maroon’s well-being at SCI Graterford remain important.